SEO for Real Estate Investors | How Long Does It Take to See SEO Results? One question a lot of people have when they’re starting or thinking about doing search engine optimization as a way to generate leads for your business is they think, “Well, how long is this going to take? 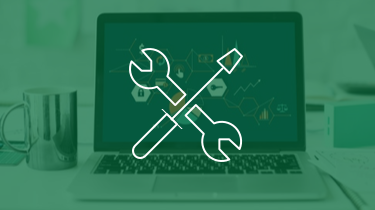 In this quick post, we’re gonna walk you through, with real-world examples, what you can expect as far as the timeline for search engine optimization to take hold when you’re implementing things that we teach in this training. 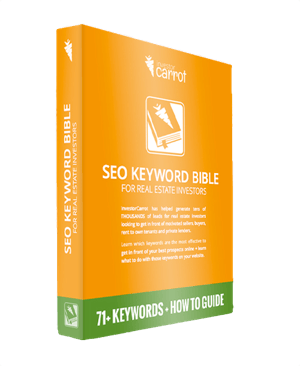 SEO for real estate investors can be a long-term play, and I’m not gonna lie. If you’re in a more competitive market, as we’ll show, you’re not gonna get ranked in the top three in Google for a very competitive phrase like, “well my house fast” or, “we buy houses,” or, “investment properties in … ” you get the idea. It won’t happen within a matter of days or weeks. You really have to have a short-term traffic plan to be able to drive traffic to your websites with AdWords, Facebook, or Craigslist marketing using our Craigslist training, in the short-term. And really, page one doesn’t really matter a whole lot. It’s really the top five positions, in particular, the top three positions are where you’re really gonna get consistent traffic and leads. That’s what we’re aiming for is the top three positions, one of the first three spots in the organic search result for sellers, buyers, tenants, whatever you’re looking for. But it depends on things like the competition in your market. So the more investors or the more agents that have websites that are going for the same keywords, obviously the harder it’s gonna be to rank there. But I want to put your mind at ease that every single market in the country can be overtaken by someone setting up their website today. We’ve had people in every single, and many of the biggest markets in the country. Either they went and set up a fresh website or have had one there for years and years, but they implemented the things in this training. They leveraged our system and they were able to outrank their competition over a period of time. 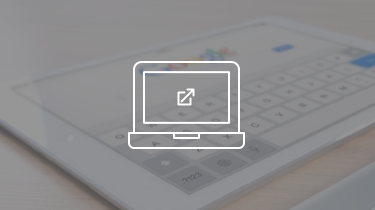 It depends on how well your on-page is optimized, how well that content is optimized for those exact keywords. 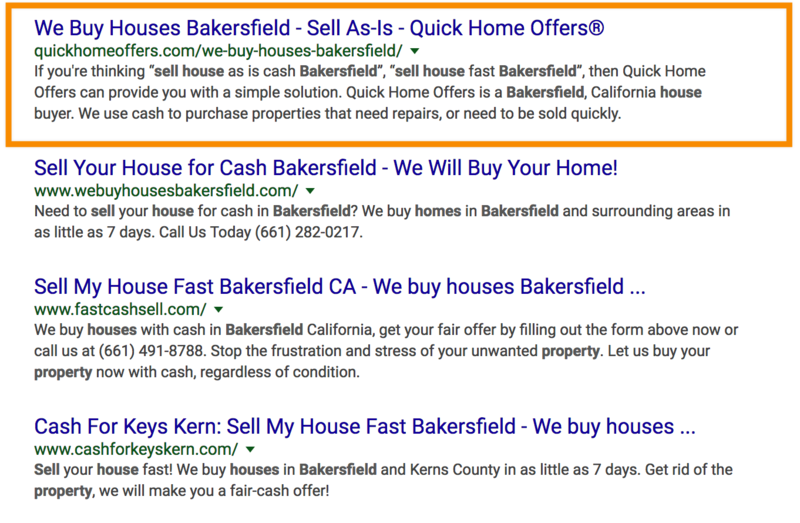 If you’re wanting to rank well for investment properties in Las Vegas but you don’t have the keyword phrase optimized on your page using our SEO tool for that, then it’s gonna be really hard to rank for that. Also, how well your off-page optimization is done. Are you building some backlinks? Are you doing some social media stuff where you’re getting people to Facebook like or Google Business your page? It doesn’t have to be a lot. You don’t need many backlinks and you don’t need a lot of social media activity in many markets to rank very, very well. If you just bought your domain recently and just launched a website, you’re definitely gonna have to build Google’s trust in your website, over the next several weeks, next several months. Then Google will start to notice that you’re going to be around here for a while. So we’re hoping that as you implement the things we’re teaching you, your ranking will continue to increase and then once you lock-in the top three positions for search phrases that matter, your leads should start to go up. Here are some real-life examples. Here’s one in the Houston market. This is arguably one of the most, if not the most competitive market in the entire country for motivated sellers online. This particular InvestorCarrot customer retained a search engine optimization vendor in our marketplace to do the SEO for them because they didn’t have the time to do the SEO. It took about 10 months. It took 10 months to go from page 3 or page 4 where they started for, “We buy houses Houston and Sell house fast Houston.” Now, they’re at the number one position. 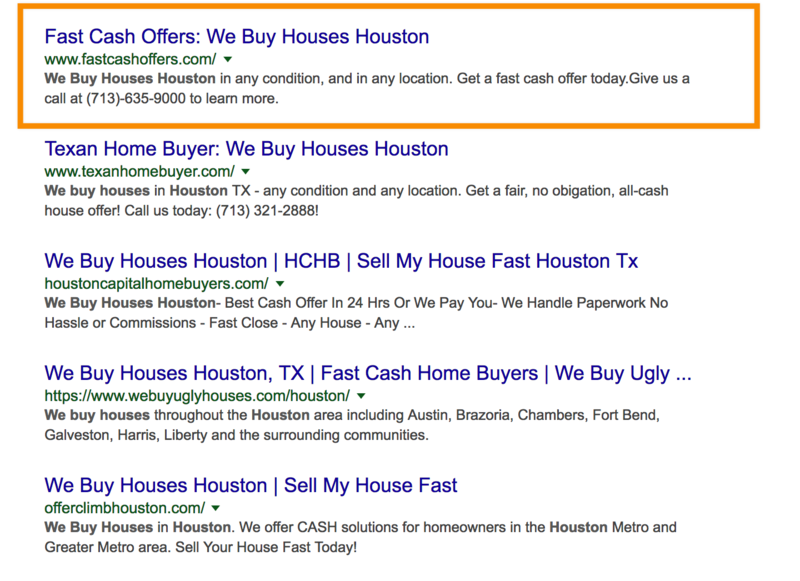 So if you were to go to Google and type up, “We buy houses Houston,” they’re in the number one position. Google does kinda change their mood, so every now and then it’ll bump back down, it’ll bump back up, but it’s been holding there for quite a while. Attract more motivated sellers, cash buyers, tenants, note buyers and private lenders with these ‘done for you’ keywords and FREE ‘SEO Hacks’ Guide. They stayed at the number seven and number five position, they bounced between those positions for literally, probably, three to five months. This screenshot here is a timeline over about six or seven months of what it took to get them ranked high. As you can see, it stayed there steady, steady, steady, really wasn’t moving. It actually took a dip down when Google made an update. Google was kind of readjusting things, and it jumped back up and it’s been settling in at number one ever since then. For them, it took 10 to 12 months to really, in one of the most competitive markets in the country, hiring an SEO team to do it, and they’re crushing it. So how they got there, they had a domain that they brought to InvestorCarrot. They had already been aged a bit. So they had already bought that domain. Are you Sabotaging your Real Estate Website’s Rankings With These 3 Black Hat SEO No-no’s? They’d owned it for years before they ever came to InvestorCarrot and they had already had a website on that domain before. So they had already done some things that kinda gave them a jump start. They had a few backlinks and they had their citations or their business directories already on there. And then just bringing that over to Carrot really put on the afterburners. That’s what took it from page three, page four on Google to rising up in the rankings pretty darn high in the most competitive market in the country. I thought it was gonna take longer than the 10 to 12 months that it took. It took 10 months. Honestly, I thought it was gonna take well over a year but because they already had the domain purchased and they had some other backlinks and some citations already built, it made it happen quicker. Here’s another one in the Baltimore market. Again, very, very competitive market. 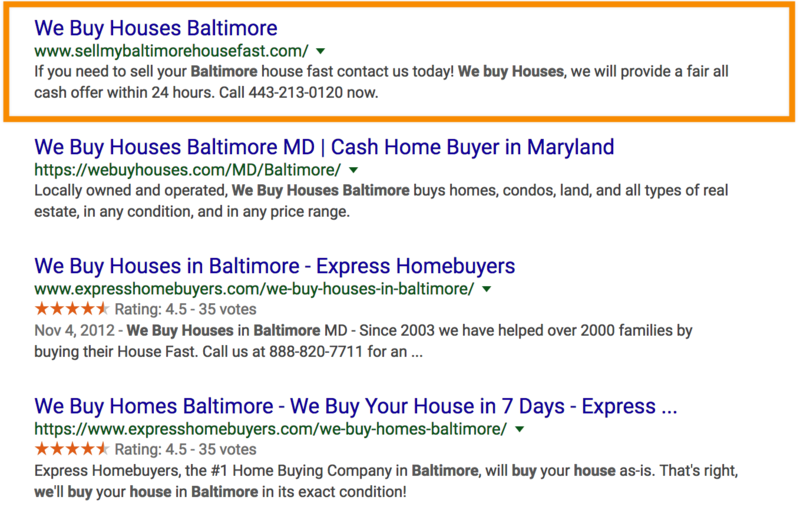 It took them four to five months to rank on page one for phrases like, “We buy houses Baltimore and Sell house fast Baltimore.” Then it took them another four to five months of working this training, building some backlinks, getting some citation going, some social media action, to get to the number one result. The person who had held the number one result before was literally there for three or four years. Learn how David Brown leveraged the InvestorCarrot real estate investor websites to generate his motivated house seller leads and get more traffic. This Carrot member came into a market with a fresh website, brand new domain name, and within eight to nine months, they overtook that number one position, started to get really, really consistent leads and deals and ended up closing over 20 deals within the next 12 months after that. 100% from SEO, netted almost $100,000. They were very, very low-profit margin deals but they closed a lot of them. Here’s how they did it. This customer focused on the on-page. They really focused on making sure that the content on the page that we provided was unique to them. 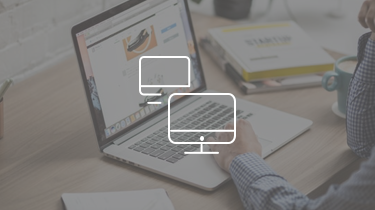 They used our SEO tool and then quickly shifted gears to building quality backlinks and social media boosts through our training. You can see, it took a while. It bumped up, it bumped back down, then all of a sudden, bam. It bumped up and it’s stayed there ever since. The Birmingham, Alabama market is a pretty decently competitive market. This person hired the SEO firm to do it as well, through our marketplace. 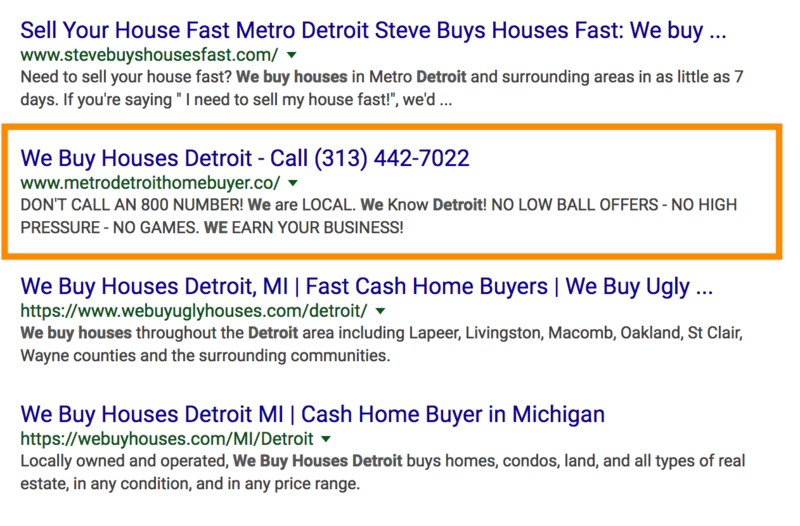 It’s a really competitive seller search phrases like, “Sell my house fast and we buy houses Birmingham.” It took about four months to get to the number two to number three position in Google with a fresh domain name. Then another couple of months, they hit the number one for several of the top search phrases. So how did they do it? They hired our team to do the SEO, and all we’re doing is implementing exactly what we teach. We started off with just further tweaking the on-page factors. We tweaked up their content a little bit more so it was more different than any of the other InvestorCarrot member in their market. You want to make sure your content does stand out. We added some more high-quality content, some blog posts and changed some of our pages a little bit, and then added some specific information for Birmingham. We also built a few backlinks and citations and that’s it. Literally, there are less than 5 or 10 backlinks pointing to this website. We did build the citations, which, if you don’t have the time to do that following our training, we can do it for you and that’s all that we did. So very minimal stuff. It was mainly just focusing on making sure the content was tweaked to them. They had testimonials on there, built some blog posts in there, and then we built a few backlinks and citation, and it crushes it. Here’s another one in California. t took them a few hours to do, so it was all a very good investment of their time. They added in specific information for their city. So they created city-specific landing pages, which we teach in our training, and we also teach in our Carrot Coaching Calls. He built a few backlinks and about three months later they’re sitting on page one. Then after another two to three months, they’re in the top three, and a month or two after that to level-off in the number one position for their main keywords in several cities around the state of California. You might see your website slowly, slowly rise, bumped up, bumped down a little bit, and kinda steady stayed up. Or, you might see a slight decrease in your rankings at a period of time, just hold tight. Don’t worry about it. Sit there for two or three weeks and see what happens. Often times, it’ll bump back up. Here’s another real-life example on the flip side of this. Those ones I mentioned before were all in pretty competitive markets. The most competitive ones took 10 to 12 months of good SEO work, actively having someone do the work for them. The kind of medium cities took four to six months to do some good work, then they did the implementation or had someone do it for them. So it can happen very quickly. Here’s my general guideline: if you’re in a small market or you’re going after a small market, and I’m talking a population under 100,000 people, you can legitimately get your web pages ranked on page one within 2 to 12 weeks and often times in the top five in Google, on cities with populations under 100,000, within 2 to 12 weeks. As an example, we’re working with a client here in Oregon right now and we literally just launched their website last month, did the customizations that we teach here, we added some city-specific pages, used the SEO tool to make sure that they are optimized for that phrase. Within three weeks, they were on page one. Now, he’s ranking number one or number two for a couple of the phrases in some of the cities and the top five for others. I expect those ranking to climb. The reason that it happened so fast is that it was smaller cities, and the content on each one of those individual city-specific pages was tweaked and customized a little bit. This isn’t just launching a website and sitting there. This is someone working the SEO, doing the things in the Carrot training and allowing two to six months to get onto page one in the top five or so. In large markets, a population of a million-plus, we’re talking six-plus months to get onto page one. Sometimes, you might have a miracle and have it happen quicker. If you have already brought some domain juice with you, if you’ve owned the domain for a while, if you already have some backlinks pointing toward it, if you already have some social media activity pointing toward it, that’s gonna help you accelerate the process. But if you bought a domain brand new and you’re in a large market and someone’s actively doing the SEO for you that we teach in here, it’s going to take six or more months to get onto page one in the top five. It can really vary, so even if you’re in a very large city, even if you’re in Houston or if you’re in New York or LA, it can really vary in how long it takes. So if you’re going to go after a broad term like, “Investment properties in Chicago,” that’s a pretty broad term where that’s more competitive. There’s a lot of people going after that, it’s gonna take longer to rank for that than what’s called a long-tail keyword phrase that has four or more full words in it. “Fixer-upper investment properties in North Chicago,” that phrase, even though it’s still in Chicago, it’s a longer phrase, it’s more targeted. There’s gonna be less competition. It’s gonna be easier to rank for that, a lot easier. Here’s a general guideline. Smaller markets under 100,000, if you’re going after strong keywords, 2 to 12 weeks to get onto page one if you’re doing the right actions. Medium markets, population 250,000 to 1 million, 2 to 6 months if you’re doing the actions to get those rankings. Larger markets, six-plus months to get onto page one if you’re doing those rankings. And then from there, it can take several months longer potentially, depending on your market, to get into that top two or three positions if you’re doing the right actions in here. The ROI on SEO is huge if you do it right. So even if you’re in a competitive market and you’re going, “You know what? I don’t have six or seven or eight months to get the leads coming in,” what you do is you go to our other trainings and you get some paperclipping going. You get some YouTube video marketing going, which are gonna rank very quickly if you do them right, within weeks, even in competitive markets potentially. You get some Craigslist marketing going. Get that stuff going in the short-term. In the long-term, if you’re in a competitive market, you or have someone work on the SEO for you. This is that first example that I showed you where it took about 10 to 12 months. I emailed him … This was several months ago at that time and they did four deals that month alone. Got bid out on a few, sat down, started building up some more city-specific pages, so they’re working it by splitting out city-specific pages and getting articles written up. They closed four deals and netted well over $30,000 that one month. The next month, they closed deals again. So the long-term ROI, being patient, especially if you’re in a competitive market and the implementing or hiring someone to implement for you, is gonna be a big, big deal. Be patient and you’ll get the results.